Parents of at least eight children who participated in Pavuluri’s trials contacted UIC after learning she had violated research rules, a larger number than the university previously disclosed — though UIC officials insist only one of the queries was a complaint. 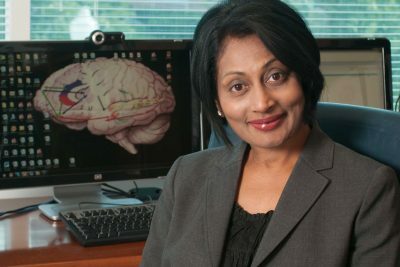 Pavuluri enrolled 101 children and teens diagnosed with bipolar disorder in the lithium study before it was halted when one of the young subjects became ill. UIC officials previously declined to answer questions about how many children participated in the government-funded study, citing an ongoing federal investigation. The psychiatrist’s two young sons were among 132 children and teens who participated as healthy control subjects, a violation of university protocol and generally accepted research practices. 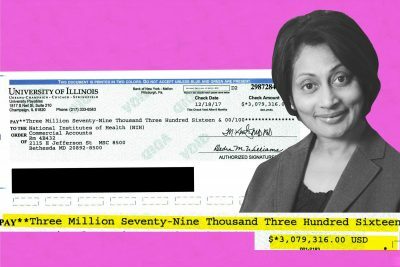 A ProPublica Illinois investigation earlier this year revealed that the National Institute of Mental Health ordered the university to repay $3.1 million in grant money it had received to fund Pavuluri’s study. The five-year study, “Affective Neuroscience of Pediatric Bipolar Disorder,” used imaging to look at how the brains of adolescents with bipolar disorder functioned before and after taking the lithium. The scans were compared to brain images of healthy, unmedicated children. The ProPublica Illinois investigation found that UIC officials didn’t properly screen or monitor Pavuluri’s research — and then, after realizing she had broken rules, continued to promote her expertise to the public as she maintained an active medical practice for years. She resigned from UIC effective June 30. Top officials say reviews found no oversight problems, though documents undercut that claim. She plans to open a treatment center, called the Brain and Wellness Institute, in Lincoln Park, according to a website. Pavuluri did not return calls seeking comment. Pavuluri joined the psychiatry department at the University of Illinois College of Medicine in 2000 and founded the Pediatric Mood Disorders Program, which became a nationally renowned clinic that drew children with bipolar disorder and other mood-related mental illnesses from around the country. She was paid about $200,000 a year, plus bonuses. In addition to her research, she treated and oversaw the care of thousands of children, including 1,200 in the five years after her research came under scrutiny. Pavuluri’s lithium study began in 2009 and was halted in 2013 along with two other federally funded projects she oversaw. The university had previously returned nearly $800,000 that hadn’t yet been spent on those two studies, and then in December repaid the $3.1 million out of a fund designated for research, administration, student scholarships and building operations. University officials have said they are not sure what they won’t be able to fund as a result. University officials have declined to speak about the matter, instead answering questions only by email. 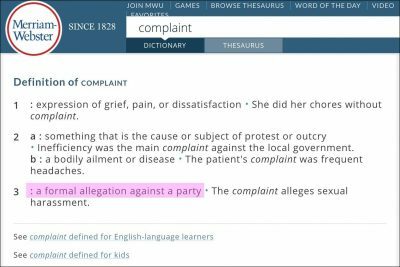 When asked in April how many complaints UIC had received from Pavuluri’s patients or research subjects, officials responded that they received one letter on behalf of a study subject concerning a possible malpractice claim. That family contacted UIC after receiving a letter in June 2014 that the university sent to families alerting them of problems with Pavuluri’s research. The letter explained that children enrolled in three of her studies may have been put at greater risk than what had been explained in consent and parental permission forms. That family didn’t file a claim, UIC has said. Records obtained recently by ProPublica Illinois, however, show there were at least seven other families who contacted UIC after receiving the June 2014 letter. A UIC employee who compiled a spreadsheet of the calls also wrote summaries of two of them, describing them as “complaints by parents regarding the treatment of their child as a research subject,” according to an email obtained by ProPublica Illinois. UIC officials still maintain the calls were “inquiries” and not complaints, and therefore say they responded accurately to ProPublica Illinois’ questions earlier this year. While she didn’t request any specific action, she said she is disappointed to know her call was simply considered a “response to the letter.” She said she never heard back from school officials. “I wanted it to matter that he was harmed and for that to figure into decisions they made in the future about Dr. Pavuluri and how studies are supervised in general,” said the mother, whose son was 10 when he participated in the study. The woman asked not to be identified to protect her son’s privacy. ProPublica Illinois in March requested the enrollment log for the lithium study under the Freedom of Information Act to confirm how many children were provided lithium. The university declined to provide the document and did not answer questions about the number of participants, citing federal and state laws regarding patient privacy as well as an ongoing investigation. ProPublica Illinois appealed to the Illinois attorney general, whose public access counselor handles FOIA appeals, and the university provided the log in June. Other appeals to the public access counselor are pending. The log shows that 101 children in the group designated to take lithium were enrolled between February 2009 and Jan. 25, 2013 — the same day UIC reported to federal officials that one of the subjects became ill.
NIMH would later conclude that about 86 percent of the subjects did not meet the eligibility criteria to participate because they were either younger than 13, had previously used psychotropic medication or had other reasons for being ineligible, records show. The 132 healthy subjects enrolled between January 2009 and October 2011. They completed various tasks while undergoing brain scans and had their blood drawn. They were to be paid $100 for participating, documents show. Pavuluri’s sons, who were then 11 and 14, were signed up to participate in the study as healthy controls, documents show. Pavuluri signed the parental consent forms and her sons signed what’s known as an assent form to agree to participate. “At a minimum, the researcher should not have done that without seeking approval from the IRB,” Carome said. Records show Pavuluri’s research was riddled with oversight failures as the IRB approved changes to the study — including lowering the minimum age of participants to 10 even though NIMH specifically prohibited that. In an interview earlier this year, Pavuluri described the mistakes as oversights while she oversaw multiple studies and said she made decisions in the best interests of her patients. She said she received minimal training and guidance from the university. Pavuluri’s research remains under investigation by the U.S. Department of Health and Human Services’ inspector general’s office, which examines waste, fraud and abuse in government programs, and the Office of Research Integrity, records show. Read the full article at ProPublica Illinois.